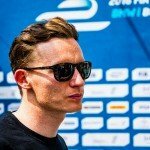 Mike Conway has proven in his career to date that he is a quick and capable driver at the wheel of a variety of different cars. Growing up near the Brands Hatch circuit in Kent, Conway started his racing career in the UK with campaigns in both Formula Ford and Formula Renault. 2004 saw Conway take the Formula Renault UK title, after which he stepped up to the prestigious British Formula 3 – winning that title too in 2006 against the likes of Bruno Senna and Oliver Jarvis. 2007 saw a switch to GP2, where Conway spent two further years and took one race win. He also acted as a test driver for the Honda Racing F1 Team, until the Japanese squad pulled out of the sport at the end of 2008. He moved across the Atlantic in 2009 to compete in the IndyCar Series, where he would race on-and-off until 2014. His second campaign in 2010 was finished early after a horrific accident in the Indianapolis 500, with Conway suffering a broken leg as well as back injuries. From the end of 2012 onwards, Conway decided to race on IndyCar’s street and road courses only due to these injuries and the risks of racing on ovals. 2013 saw him take 3rd in the LMP2 class of the World Endurance Championship alongside John Martin and Roman Rusinov, and he moved over to Toyota Racing in the LMP1 class as official reserve driver in 2014 – competing in three races in the end. 2015 saw him race full time for Toyota in the WEC. Conway already got a good taste of Formula E as he replaced Jacques Villeneuve at the Venturi Formula E Team in the second season of the all-electric racing series. After being able to adapt to the car quickly, he was able to score some points in the course of the season before he had to make way for Maro Engel, who joined the team for the third season.